Silestone vs. Corian Countertops, what should a homeowner choose for his or her new kitchen? Well, it depends on your tastes. Silestone, or engineered stone, is one of the most popular countertop materials on the market today. It has the appearance of granite, but also adds its own shimmering uniqueness due to quartz crystals embedded in the material. Corian countertops on the other hand have been around for many years and simulate a marble stone look. 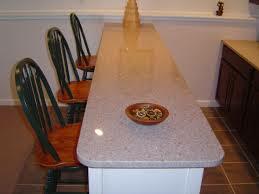 Both Silestone and Corian countertops have their advantages and disadvantages. Silestone is basically made up of a composite of quartz material and plastic. Silestone consists of approximately 94% quartz stone material and 6% plastic. Silestone countertops are priced similar to Corian countertops. Silestone also comes in about 48 different colors. What makes Silestone rather unique is that the quartz material sparkles providing a glimmering radiance that is unmatched by granite or Corian countertops. 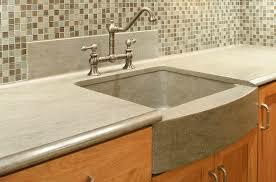 There are a number of other manufacturers of engineered stone countertops on the market besides Silestone. They include Granyte, Avanza, Cesarstone, and Zodiak from Dupont. All employ similar methods as Silestone in how they construct the countertop material. Corian countertops are constructed using 100% plastic (also known as resin). As the plastic is heated and processed, colors are added. Today Corian comes in 80 different colors. Corian is unique in that unlike Silestone, or even Granite, you can get Corian countertops in solid white, a countertop color still preferred by many. In addition, Corian can be designed and manufactured to be seamless in appearance. Corian countertops are known to be more easily repairable than Silestone countertops just due to the fact that Corian countertops are 100% plastic. However, Silestone (or other engineered stone countertops) are said to be more heat, burn, stain, and scratch resistant due to the fact that they are made mainly out of stone material. Scratches on dark Corian colors are said to be much more visible than lighter or speckled colors. If hot pots are left on a Corian countertop it is likely the countertop will be burned and the warranty put into question.